Women's Diamond Silver Heart Necklace : LOVE2HAVE in the UK! A women's sterling silver heart necklace set with a single white diamond. 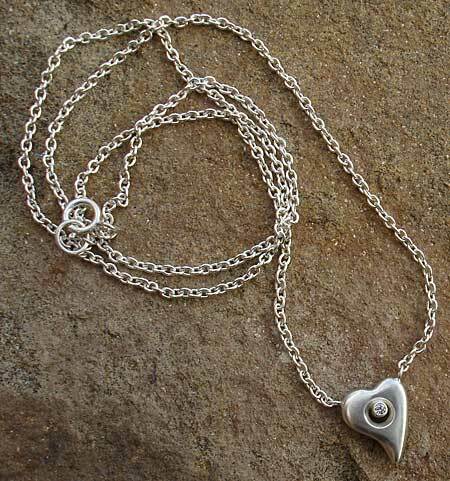 This necklace is beautiful, yet understated contemporary heart shaped necklace for women. 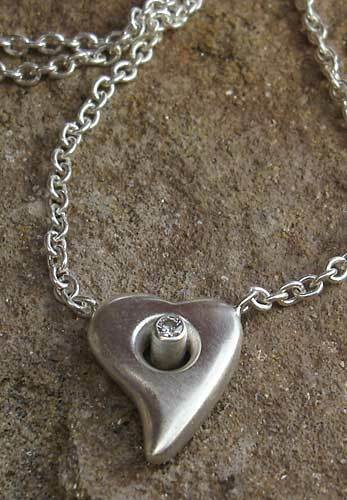 The small silver heart has a lovely smoothed styling to its shaping with rounded off edges. The diamond is bezel set which comes set inside a small silver hole. Sizing is as follows - the diamond is a 1.5mm stone, and the heart measures approximately 1cm x 0.8cm. The silver chain is 16 inches in length, and other lengths are available on request.